Some 3000 years ago, the Hittites were the most powerful nation in the Middle East. Their empire extended from the Black Sea to Damascus, and more than 1000 km (620 miles) east to west across Anatolia, now a part of modern Turkey. “HITTITES: the children or descendants of Heth, formed one of the tribes of Canaanites which occupied Palestine before the Israelites. They lived in the mountains of Judea around Hebron, and retained their nationality even after the return of the Israelites from exile.” The “kings of the Hittites” are often mentioned in connection with the kings of Syria; and in the days of Joram their alliance with the Egyptians was an object of dread to the besieged inhabitants of Samaria. The 3000-year-old Sphinx of Hattusa, one of two unearthed in 1907 outside the modern town of Boğazkale. The sphinx was discovered by German archaeologists and has been on display in the Berlin Pergamon Museum since 1934. 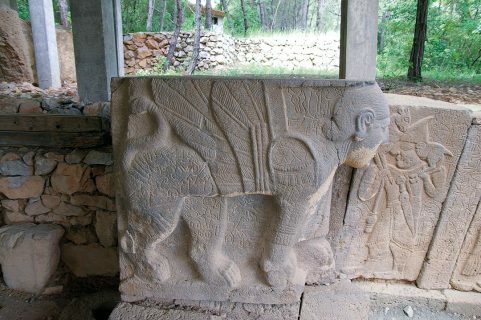 In 2011, after more than 70 years of wrangling over the valuable sculpture, it was returned to Turkey following threats to revoke the German Archaeological Institute’s permit to excavate in Turkey if it was not returned. The Bible contains many references to this people, with the word Hittite appearing some 46 times in the King James Version. We read about them in Genesis 23:3, 4, after the death of Abraham’s wife, Sarah: “Then Abraham rose from beside his dead wife and spoke to the Hittites. . . . Sell me some property for a burial site here so I can bury my dead” (NIV). And later, when Israel was about to occupy Canaan, the so-called Promised Land, after fleeing Egypt, the nations who were there are mentioned as the “Hittite and the Amorite and the Canaanite and the Perizzite and the Hivite and the Jebusite” (Deuteronomy 20:17). So, according to the biblical record, the Hittites were a well-recognised and an important and powerful nation. Yet because no ancient historian mentioned them, and because they appeared to leave no archaeological footprint, critics of the Bible relegated them to the realm of myth. But this was about to change. The Hamath Stones Moved to the Istanbul Museum by Dr W Wright in 1872 amidst outrage from the superstitious local community, these stones became the very first artefacts that attracted modern day researchers to the existence of a Hittite civilisation and language. Some scholars believe these inscriptions form a connecting link between picture writing and alphabetic writing. The translation of these blocks are building inscriptions of the kings of Hamath, Urhilina and his son Uratamis. It was in 1812 that the Swiss explorer John Burckhardt discovered the lost city of Petra, returning to Europe with an astonishing tale of the wonders of the red city. In the course of his travels, Burckhardt visited Hamath in northern Syria, and there he noticed in the foundations of a building some large oblong stones on which were inscribed some strange hieroglyphs. They weren’t Egyptian. Burckhardt had no idea of their origin, nor did anyone else. In 1822, Burckhardt published the book Travels in Syria and the Holy Land. 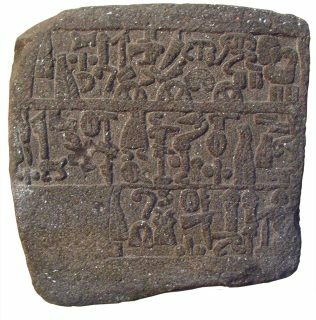 In it, he described “a stone with a number of small figures and signs which appears to be a kind of hieroglyphic writing, though it does not resemble that of Egypt.” His revelation was not pursued. Then in 1834, the French explorer Charles Texier was travelling through central Turkey in search of the lost Roman city of Tavium. During his search, he came to the village of Boğazköy, modern Boğazkale. He enquired about ancient ruins and was informed of some nearby. Here were sculptured stones, obvious deserted streets and a surrounding wall 5 km (3 miles) in circumference. It was not Tavium—it was too big for that. But what was it? Who had built and occupied this great city? There was no known nation of antiquity that fitted. He went away baffled. A friendly Turk then led Texier across a valley to a clump of large rocks jutting from the ground. The place was known as Yazilikaya. Here, engraved on the side of one of the rocks, was a line of figures with peaked hats. Who were they? Texier was mystified. The following year, a British traveller, William Hamilton, came to Boğazkale and saw all that Texier had seen and 20 km to the north, he stumbled across another deserted city known to the Turks as Alacahoyuk. Hamilton was equally perplexed by his discovery. In 1862, a Frenchman, George Perrot, came to Boğazkale. Besides the things that his predecessors had seen, Perrot found among the ruins a rock face known locally as the Nishan Tash, on which there was a lengthy hieroglyphic inscription. Perrot, of course, had no way of knowing what was written on the rock, but he too was bewildered by this strange writing. In 1870, two Americans, J A Johnson and S Jessup, strolling through the bazaar at Hamath, noticed not only the stones that Burckhardt had reported, but three others. Shortly after, another similar stone was discovered 200 km north in Aleppo. The trail was getting hot. 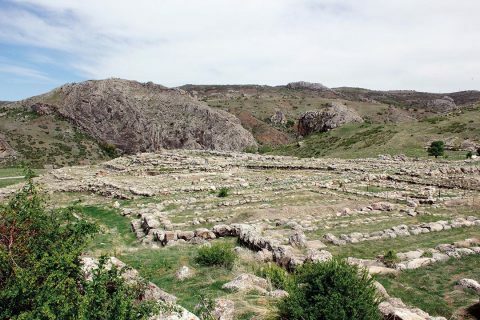 Büyükkale, meaning “Great Fortress,” was the site of the Hittite acropolis and the state archives, on the east side of Boğazkale. These archives have played a most important role in learning about Hittite history, with hundreds of tablets, not only contracts and official documents but prophecies, instruction in cult practice, folklore, collections of legal decisions and historical texts being discovered. Finally, in 1872, a man of a different character entered. William Wright, an Irish missionary, spoke the local language, understood the people and was on good terms with the governor, Subhi Pasha. The governor was an enlightened man and Wright was able to convince him that the stones should be removed and sent to the museum at Constantinople for safe-keeping. But that was when the trouble began. It appears that the local people had a superstitious belief in the stones’ curative properties for eye diseases, of which there were no shortage in the area. When the governor’s men began to chisel the stones from the building, the people protested, but the governor, having the military on his side, was able to complete the task and remove the stones to his palace. Then the problems really started in earnest. That night, Whirling Dervishes raced through the streets stirring up the emotions of the frenzied crowd. To make matters worse, there was a shower of falling stars, which heightened the superstitions of the crowd, and they stormed the gates of the palace. Had it not been for the protection of the soldiers, Wright and the governor would not have lived to see the sunrise. In the morning, the crowd was still there and the governor admitted a delegation to present their complaints. He listened to their objections, especially to their assertion that Allah had shown his displeasure in the display of falling stars. He settled the mob, and the stones were removed to the Istanbul Museum where they are still on display. Wright was able to take impressions of the writing and send it to the British Museum. In 1876, excavations commenced in the ancient site of Carchemish, 100 km north-east of Aleppo, near the border between Turkey and Syria. Numerous impressive monuments of the same style as those in Turkey and more stones inscribed with the same mysterious hieroglyphic characters were discovered there. Indecipherable inscriptions were found as far away as Smyrna on the west coast of Turkey. One thing was apparent: some great and cultured nation had once occupied this area and scholars needed to identify it. 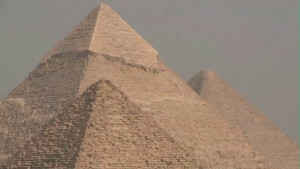 Finally, in 1880, archaeological mystery burst. At a meeting of the Society for Biblical Archaeology in London, a young but well-known orientalist scholar, Archibald Henry Sayce, announced his conviction, despite the critics, that the monuments were to be attributed to the biblical Hittites. Sayce was unmoved by the backlash that followed. He had carried out considerable research on the subject and had done some on-the-spot inspections in Turkey. He threw himself into further study. The debate was not only rife among scholars but in the press and among the British public, whose imagination has always been easily fired by archaeological discoveries. Those were almost prophetic words. Finally, in 1884, Wright published a book, The Empire of the Hittites, in which he presented a mass of scholarly evidence that defied resistance. The Hittites had not only been positively identified, but had taken their place as one of the great nations of antiquity. But the search for truth had really only just begun. To be sure, the Hittites had been identified, but nothing was yet known of their history. That could not be clarified until the Hittite language and writing were understood. The breakthrough came not from Turkey or Syria, but nearly 2000 kilometres away in Egypt. In 1887, the Tel el -Amarna Letters were discovered. These were clay tablets on which messages in Assyrian cuneiform were addressed to Pharaoh Akhenaten of Egypt. One of the letters was from the Hittite king Suppiluliumas to Akhenaten, congratulating him on his accession to the throne. This was important, for it not only gave the name of a Hittite king, but it provided a synchronism by which he could be dated. 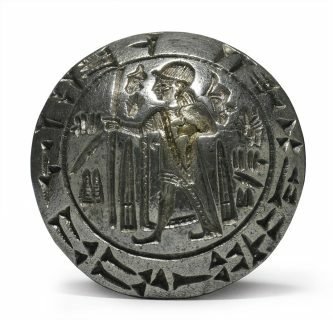 For the first time, a date could be affixed to a Hittite king. Two of the Tel el-Amarna Letters were of special importance: Known as the Arzawa Letters, they were written in readable cuneiform but included a hitherto unknown language in parallel. Scholars surmised that this might be the Hittite language, and went to work unravelling it. In 1902, a Norwegian scholar, J A Knudtzon, announced his opinion that the Hittite language was of Indo-European origin. This suggestion was greeted with derision: Semitic, yes; Hamitic, possibly; Indo-European, never. Such was the push-back and academic argument against him that Knudtzon recanted his assertion, but time would later prove him correct. Another significant development occurred in 1906. Hugo Winckler was a German with an unfortunate personality. He was the type of person who made an instant enemy of anyone he met. He was unfit for the work of archaeology as he was ill at ease in a foreign culture. In fact, he was not an archaeologist at all—he was a philologist, a scholar in writing, and in his field, he was brilliant. He could read the Assyrian cuneiform like we read a morning newspaper. Winckler arrived at Boğazkale and immediately began digging. He was naturally more interested in inscriptions than monuments. And he found them—some 10,000 clay tablets in all. Many were written not only in readable cuneiform, but in the known Babylonian language. Winckler feverishly went about translating them. Naturally, many of the tablets were in both cuneiform and Hittite languages. With this added material, scholars made great progress in understanding the Hittite language. In 1915, Friedrich Hrozny, a Czech linguist, caused a sensation by announcing that Hittite was indeed an Indo-European language, producing such a volume of evidence that scholars could not argue against his conclusion. How the Hittites, of Hamitic ethnic origin and coming from Palestine, spoke a European-type of language was the subject of much speculation. By 1929, it was well enough understood that a manual of the Hittite language was published. Tarkendemos Seal: Hittite hieroglyphs surround a figure in royal dress, with an inscription repeated in cuneiform around the rim. 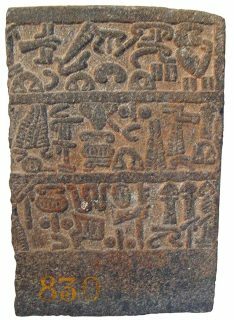 The text identifies Tarkummuwa as the owner and Hittite ruler. This famous bilingual inscription provided the first clues for deciphering Hittite/Luwian hieroglyphs. So the Hittites had been identified and the Hittite language translated. Now there remained one more problem: deciphering the Hittite hieroglyphs. No-one imagined it was going to be so easy. Archibald Sayce—the scholar who first announced the mysterious monuments found in Turkey should be attributed to the biblical Hittites—faced the problem many years earlier. One day, Sayce discovered a report that mentioned a seal that had been found in western Turkey and sent to the British Museum. The seal was reported to include cuneiform writing and some unknown figures. Sayce believed it to be a bilingual document, something a philologist must have to crack an unknown language. He went in search of the seal. At the museum, Sayce was told that while the seal was offered to the museum, it had been rejected as spurious because the strange figures on it were unknown. Sayce was flabbergasted, but fortunately, the official recalled that a copy of the seal had been made before it left the museum. The copy of what became known as the Tarkendemos Seal was duly produced and Sayce went to work. He made some progress, being able to work out the word for king and the name of the king, but he could not go beyond that—the seal was too brief. In 1934, Kurt Bittel was excavating in Boğazkale when he discovered no less than 100 bilingual documents. The scholastic world was delighted and it seemed that cracking the Hittite hieroglyphs was only a matter of time. But alas, their hopes were dashed. Some progress was made, but the bilingual documents were only seals, too brief to provide the key. Karatepe Bilingual Inscription When scholars excavated Karatepe in 1947, they discovered the first-known bilingual inscription in Luwian Hieroglyphic and Phoenician. The inscription was carved over two stone gates stretching over many elements ranging from plain to ornamental blocks, covering a figure of a lion and sphinx and relief sculptures. It was not until 1947 that the long-sought key was found, when Helmuth Theodor Bossert, a German philologist and archaeologist, accepted an invitation to teach at the Istanbul University. In the same year, Bossert took time off from his teaching to lead an archaeological party to Karatepe, a remote ruin in southern Turkey. He achieved dramatic success, discovering some fine Hittite reliefs. Near the end of the dig, Bossert unearthed the top of a slab of stone on which was some Phoenician writing. He did more probing and uncovered another stone nearby on which he identified some indistinct Hittite hieroglyphics. It seemed he had discovered the all-important bilingual document. But there was no time to pursue the matter further, and as he saw no point in raising the expectations of his companions, he quickly reburied his finds and said nothing to his associates. Five months later, Bossert was back at Karatepe. He was a likeable character who seemed to possess a sense of the dramatic. He set his party to work at the site where he had previously reburied the stones and stood back to watch. He didn’t have long to wait. His party soon unearthed the stone on which there was the Phoenician inscription. Delighted with their find, Bossert put them to work a few metres away where he knew they would find the Hittite inscription. In a few moments, they found that also, but as it emerged from its dusty bed in the fading light of that late afternoon, Bossert realised that what he had thought to be Hittite hieroglyphics were nothing more than cracks in the stone caused by the passage of time. His heart sank. But the party continued digging and to Bossert’s delight, not far away, they found another stone, which proved to be the dreamed-of bilingual document. It was then only a matter of time for the code to be broken and the secret of the hieroglyphics known. Although there are some characters that are still not completely understood, most Hittite hieroglyphics can be read and scholars have been able to put together the history of this once great empire. Their hieroglyphics were originally credited as Hittite, because they were found in Hittite cities like Hattusa, but it is now recognised that the Hittites actually adopted the Luwian script. 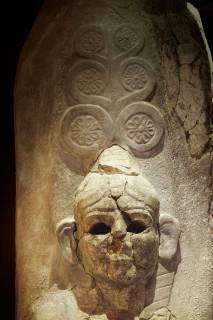 The Luwians were related to the Hittites and were the dominant group in the Late Hittite culture. According to biblical records, the Hittites were strongly represented in Palestine but either migrated or were forced out to Anatolia. Apparently, a migratory wave swept down from the north and conquered the Hittites, imposing their Indo-European language and culture upon them, while adopting the Hittite name. The first king of this new people was Anittas, who conquered Hattusas, now called Boğazkale, and pronounced a curse upon it. The curse did not work very well, because it was soon rebuilt and became the capital city of the great Hittite empire. The king who united the Hittites into a consolidated nation was Labarnas. 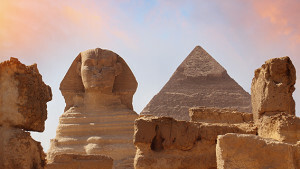 He became such a legendary figure that later kings took his name as a title, much as how Egyptian kings were known as Pharaohs. A later king, Mursilis I, led his armies in foreign conquests, marching them as far as Babylon, which they plundered, making off with the golden image of the god Marduk. But it was Suppiluliumas who took the Hittites to the pinnacle of their power. He rebuilt Hattusas and he was responsible for the inscription on the rock face known as the Nishan Tash. It was actually a king list and he, of course, was the last king listed, perhaps to help establish his right to rule as well as to perpetuate his memory. Suppiluliumas developed his army into a formidable military machine with a strong chariot force. He established his rule over all of what we now call Turkey and northern Syria. It was he who sent a message of congratulations to Akhenaten on his accession to the Egyptian throne. Suppiluliumas felt the request was too good to be true, so he dispatched a delegation of his own to ascertain whether the offer was genuine. The delegation returned confirming the offer and also brought with them another plea from the Egyptian queen for a Hittite prince to be sent to Egypt. Suppiluliumas hesitated no longer and sent one of his sons. But his delay proved fatal, as by then, the statesman-priest, Eye, had seized the throne and the young queen. Before the Hittite prince arrived, he was assassinated. It is intriguing to speculate how the course of history might have been changed had Suppiluliumas acted promptly. Egypt may have become a province of the Hittite Empire, with a Hittite seated upon the throne of Egypt. A confrontation between the two great superpowers of the then known world was inevitable and it came in the days of Muwatalli II. His opponent was Rameses the Great of Egypt. The clash was the well-known Battle of Kadesh in which Rameses was fortunate to escape with his life. A few years later, Rameses was content to sign a non-aggression pact with Muwatallis’ successor, Hattusilis III. But the sun was about to set on the great Hittite empire. Tudhaliyas IV was the last great Hittite king. He was a devout religious reformer and was responsible for the rock carvings at Yazilikaya. A small stone temple was built at the entrance to the natural rocks. The foundations of this temple have been excavated by archaeologists and can be seen by visitors today. There is also a well-preserved relief of Tudhaliyas in the embrace of his god. The Hittite worship was polytheistic and the line of figures copied on the rock face depict some of their gods. But the so-called People of the Sea were on the march and they swept over the Hittite empire, obliterating it from memory. A few pockets of resistance remained but, they too, soon disappeared and the Hittites were lost and forgotten. Only in the Bible was there preserved a knowledge of this great nation, again underscoring its veracity as, at the very least, an accurate history of humankind and a useful tool of archaeology, and something not to be ignored or scoffed at.